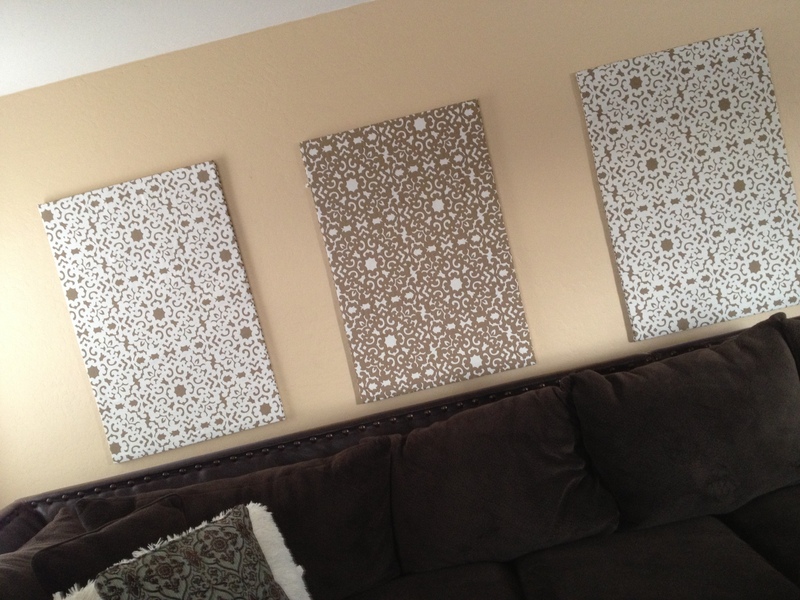 Large open walls can be very hard to decorate, and quite expensive. A nice large piece of art or mirror can sometimes be hard to find, especially if you have to stay within a budget. What I find to be the hardest is finding exactly what I want in the right size. 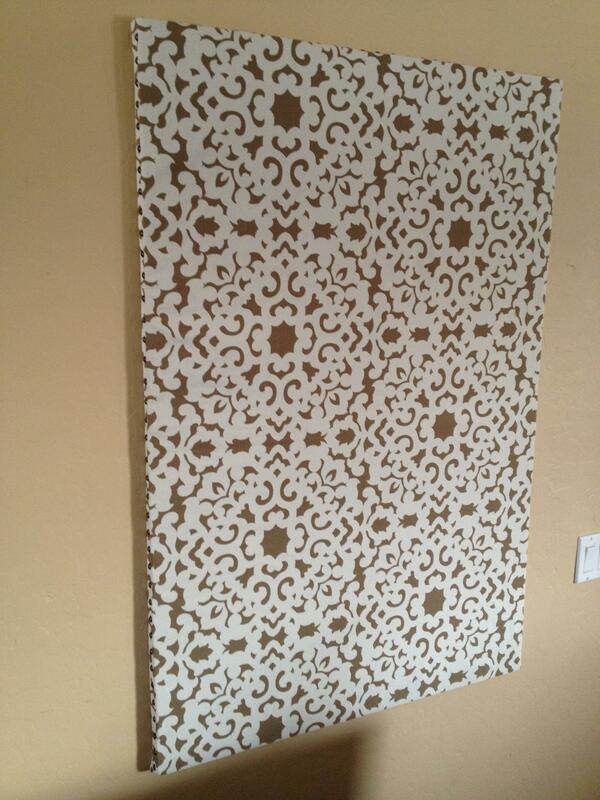 So after months of staring at a wall with a large iron work on it I finally decided to make my own wall art. Seeing some postings on Pinterest got my creative juices flowing. I went to Home Depot in search of wood or foam to use. I found a large piece of insulation foam board for $15. It was very sturdy and the nice man there measured and cut it into 3 perfect pieces for me. I then went to a fabric warehouse here in Phoenix and was more than overwhelmed by all the choices. I walked and looked for a couple hours until finally deciding on reversible fabric that had the right colors and pattern I was looking for. I bought one yard which would be enough to cover one board, I wanted to make sure it looked good before I bought all of it and wasn’t happy with it. 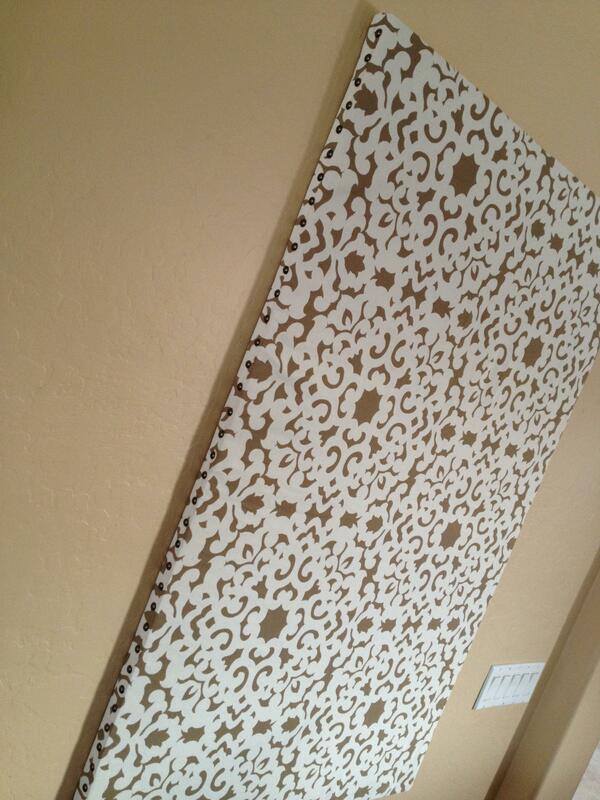 Using a staple gun I quickly got the first board covered and loved it!! The colors brightened my room like I was wanting it to and the size of three panels was perfect to cover my wall. I went back and got two more yards of fabric and did the other two. 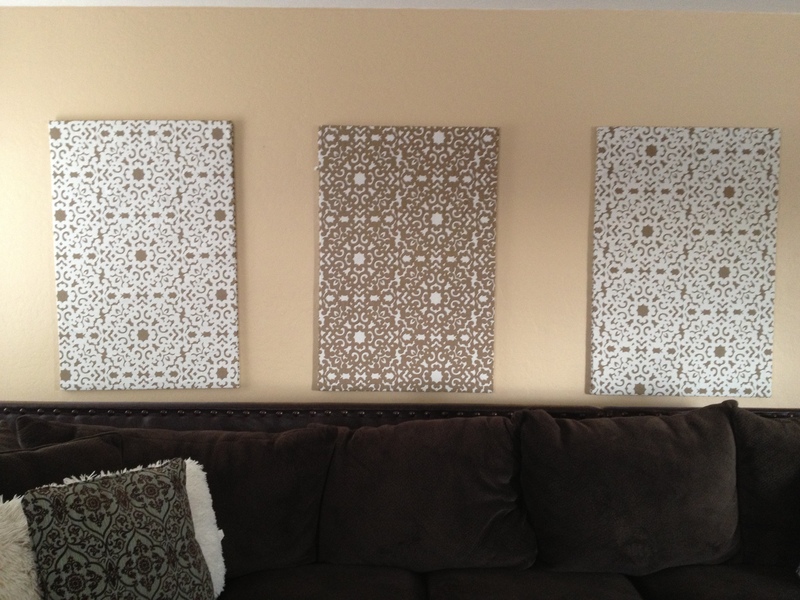 Luckily these are very light and easy to hang using contact strips. I get lots of compliments on them and if I get tired of them I can easily change the fabric for under $50. Of course after a couple days of looking at them I did feel like they weren’t quite finished looking. 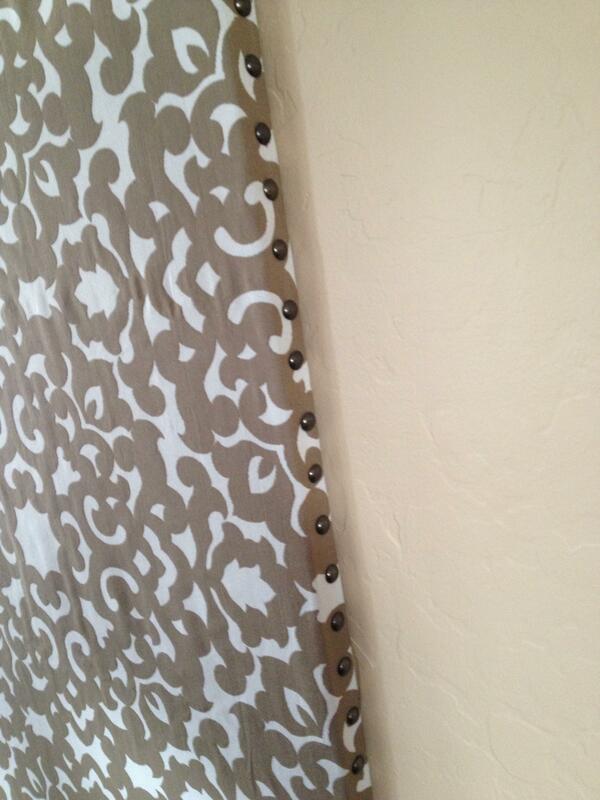 To pick up the trim in my couch I went to Hobby Lobby and got some bronze nail heads to add all the way around them. It gave them the detail they needed and took no time to push them into the foam.